Draft: 2012, Oakland Athletics, 32nd rd. Ryan Christopher Dull was originally signed by A's scout Neil Avent…graduated from UNC-Asheville…completed his college career ranked second on the Bulldogs career list in strikeouts (238) and games started (51) and fifth in wins (16)…graduated from East Forsyth HS where he went 11-1 with a 0.58 ERA and 103 strikeouts as a senior…earned All-State honors and was named Forsyth County Player of the Year. Had six stints with Oakland and compiled a 4.26 ERA and .242 opponents batting average in 28 relief appearances in his fourth season…the opponents batting average was a career high…struck out 21 batters in 25.1 innings for a career-low average of 7.46 strikeouts per nine innings…his opponents batting average included a mark of .219 (7-for-32) against left-handed hitters compared to .254 (15-for-59) against right-handers…issued all seven of his walks to righties…reversed a career trend as he had a .181 average against righties and .250 against lefties in his career entering the season…allowed 5-of-16 (31.3%) inherited runners to score but has allowed just 19-of-95 (20.0%) to score in his career…first batters faced were 6-for-26 (.231) with a walk (.250 on-base percentage)…they are now batting .148 (22-for-149) with seven walks (.181 on-base percentage) in his career…did not allow a run in 15 appearances against American League West competition (15.0 ip) and had a .130 opponents batting average…had a 10.45 ERA and .356 opponents batting average in 13 games against all other teams…had six scoreless outings against Houston (6.2 ip) and now has a 0.70 ERA (2 er in 25.2 ip) in 22 career outings against the Astros…compiled a 1.59 ERA in six games on no days rest, a 5.03 ERA in 22 games against all other teams…made 25 of his 28 appearances at night and 20 on the road. return…opponents went 1-for-14 (.071) with a walk. 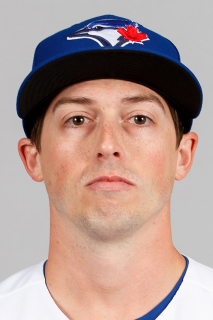 NASHVILLE: Was 3-2 with a save and a 3.54 ERA in 23 relief appearances with Nashville…struck out 36 batters in 28.0 innings (11.57 per nine innings)…walked eight for a strikeout-to-walk ratio of 4.50…allowed a .273 opponents batting average, including .250 (15-for-60) against righthanded hitters compared to .308 (12-for-39) against left-handers…surrendered five home runs, all solo shots…yielded a .381 average with runners in scoring position…opponents hit .174 when leading off an inning and he did not walk a batter…allowed 4-of-12 (33.3%) inherited runners to score…posted a 2.35 ERA before the All-Star Break, a 4.97 ERA after the break…combined for a 1.69 ERA in the eighth and ninth innings, a 4.67 ERA in all other innings…had a 2.53 ERA in 11 games at home, a 4.15 ERA in 12 outings on the road…tossed at least one inning in 20 of his 23 appearances…made three rehab appearances with Nashville in April, allowing one run in 4.0 innings…returned to the Sounds June 11 and allowed four runs in 10.1 innings over nine games (3 er, 2.61 ERA) before returning to Oakland July 10…yielded a season-high two runs on a seasonhigh four hits and a season-high two walks in 2.2 innings June 18 at Albuquerque and took the loss…had a season-high 6.0-inning scoreless streak in six games over two stints from June 24 to July 21…was credited with his lone save June 28 at Oklahoma City…had one at bat on July 3 at Omaha and struck out…surrendered a home run in three consecutive games from Aug. 15 to 23… matched his season highs in runs (2) and walks (2) Aug. 18 against New Orleans…struck out a season-high four batters in a season-high 3.0 innings Aug. 26 at Memphis and picked up the win. Went 2-2 with a 5.14 ERA and .236 opponents batting average in 49 games in a season shortened by a two-month stint on the disabled list with a strained right knee…struck out 45 batters in 42.0 innings, the first time in his career he has finished with more strikeouts than innings pitched…his ERA more than doubled his mark of 2.42 from 2016…walked 16 batters in 42.0 innings (3.43 per nine innings) after issuing just 15 walks in 74.1 innings in 2016 (1.82 per nine innings)…his opponents batting average and on-base percentage (.316) were also career highs…held right-handed hitters to a .206 (22-for-107) batting average while lefties hit .300 (15-for-50)…had a .639 OPS against righties, .897 against lefties…now has a .181 (58-for-321) career average against righties compared to .250 (41-for-164) against lefties…has issued 25 of his 37 career walks to lefties…first batters faced hit .114, which was third lowest in the American League and third lowest by an A's reliever since 1974…also ranked third in the AL in first batter on-base percentage (.184)…now has a .130 (16-for-123) career average against first batters with six walks (3 sf, .167 on-base percentage)…allowed 6-of-24 (25.0%) inherited runners to score…compiled a 3.60 ERA and .161 opponents batting average at home, a 7.41 ERA and .329 opponents average on the road…now has a 3.01 ERA (24 in 71.2 ip) in his career in Oakland compared to 4.09 (28 er in 61.2 ip) on the road…logged a 4.15 ERA and .180 opponents average during the day, a 5.84 ERA and .271 opponents average at night…had an 8.10 ERA in 13 games on no days rest, a 4.22 ERA in his other 36 appearances…now has a 6.57 ERA (18 er in 24.2 ip) in 29 career outings on no days rest, 2.82 (34 er in 108.2) in his other 103 games…yielded a .118 batting average with runners in scoring position and two outs…has a .143 (17-for-149) career average with RISP, including .125 (8- for-64) with RISP and two outs…tied for fifth among AL relievers in unearned runs (6)…also tied for third in caught stealings (3) and tied for seventh in lowest opponents stolen base percentage (50.0)…tossed fewer than one inning in 22 of his 49 appearances. OAKLAND: Struck out the side in the seventh inning on Opening Day against Los Angeles (AL)… the three strikeouts were a season-high (also Aug. 26 vs. Texas)…was charged with the blown save and loss in his next appearance April 4 against the Angels…allowed three runs, his first of four games with three or more runs allowed…all came over his first 17 contests…did not yield an earned run in 10 of 11 outings from April 12 to May 6 (1.86 ERA), but allowed seven runs over that span (two earned)…surrendered a career-high tying four runs in 0.2 innings April 26 at Los Angeles (AL)…yielded seven runs over a four-game stretch from May 7 to 16 (18.00 ERA)… matched his career high with two walks May 13 at Texas and Aug. 16 against Kansas City…made his 100th career appearance May 16 at Seattle…tossed a scoreless 10th inning for the win in a 3-2 A's victory over Boston May 19 but was placed on the disabled list the next day with a strained right knee…had a 6.32 ERA in 18 games at the time of his injury…missed two months before beginning a rehab assignment with the A's affiliate in the Arizona Rookie League July 19…also made two outings with Triple-A Nashville on July 21 and 24 at New Orleans and did not allow a run in his three rehab appearances (3.2 ip, 1 h, 1 bb, 3 so)…was reinstated from the DL July 27 and compiled a 4.44 ERA in 31 games following his return…did not allow a run over his first eight appearances (5.1 ip)…stranded each of his 10 inherited runners over a 20-game stretch from Aug. 4 to Sept. 13…yielded seven runs over a nine-game span from Aug. 13-30 (7.56 ERA) but just one over a 10-game stretch from Sept. 1-17 (1.04 ERA)…tossed a season-high 2.0 perfect innings of relief in the first game of the Sept. 9 doubleheader against Houston…allowed five runs over his final four outings (11.25 ERA), including a blown save Sept. 26 against Seattle. The rookie reliever compiled a 2.42 ERA and .186 opponents batting average in 70 relief appearances…led American League rookies and tied for ninth among all AL pitchers in games pitched…fell one short of the Oakland rookie record for games pitched (71, Cook in 2012 and Small in 1997)…his ERA was fifth best in Oakland history by a rookie with 70 or more innings pitched…also ranked second among AL rookies in saves (3), ninth in innings (74.1) and strikeouts (73) and tied for ninth in wins (5)…ranked third among all AL relievers in opponents on-base percentage (.228), tied for sixth in innings and seventh in opponents batting average…the on-base percentage was fifth lowest in Oakland history by a reliever…23 of the 50 hits he allowed were for extra bases (12 doubles, 1 triple, 10 home runs) for a .349 slugging percentage…struck out 73 and walked just 15 for a strikeout-to-walk ratio of 4.87…averaged 1.82 walks per nine innings…allowed 7-of-52 (13.5%) inherited runners to score, which was the third lowest percentage in the AL…ranked second in most inherited runners…first batters faced hit .121 (8-for-66) with two walks (.143 on-base percentage)…the batting average and on-base percentage are fourth lowest by an Oakland pitcher since 1974 and his .355 OPS is seventh best…ranked second in the AL in first batter on-base percentage and OPS, third in batting average and fourth in slugging percentage (.212)…his opponents batting average included a .156 (28-for-179) mark against right-handed hitters compared to .244 (22-for-90) against left-handers…issued 10 of his 15 walks to lefties but surrendered eight of his 10 home runs to righties…has issued 16 of his 21 career walks to lefties…opponents batted .086 with runners in scoring position, which was the lowest mark in the majors and tied for second lowest since 1974 among pitchers with at 70 innings (.068, Jansen LAD, 2013)…has allowed a .100 (8-for-80) average with RISP in his career…opponents were 4-for-41 (.098) with RISP and two outs and 0-for-7 with five strikeouts with the bases loaded…had a .226 opponents batting average with the bases empty, .132 with runners on…seven of the 10 home runs he allowed were solo shots…yielded a .110 batting average with two strikes…the opponents number six hitter was 2-for-23 (.087)…compiled a 1.88 ERA in 35 games at home, 3.00 in 35 outings on the road…had a 1.93 ERA and all three of his saves in 28 day games…posted a 3.11 ERA in 39 appearances on one day of rest or fewer, 1.71 in 31 games with two days rest or more…logged a 1.17 ERA in nine interleague appearances and a 1.19 ERA in the seventh inning…tossed 1217 pitches, which was seventh most by an AL reliever. Was selected by the A's in the 32nd round of the 2012 draft, began the year at Double-A Midland, made his Triple-A debut at Nashville in late July and his Major League debut during a September call-up with Oakland…went 1-2 with a save and a 4.24 ERA in 13 games with the A's…made his debut Sept. 1 against Los Angeles (AL) and began his career with an eight-game, 11.0-inning scoreless streak… that tied for the sixth longest career-opening scoreless streak in Oakland history…then allowed at least one run in four of his final five games (12.00 ERA)…held the opposition to a .203 batting average but yielded a .441 slugging percentage as six of the 12 hits he allowed were for extra bases…surrendered four home runs in 17.0 innings after yielding just two home runs in 61.0 innings in the minors…his opponents batting average included a mark of .167 (4-for-24) against left-handed hitters compared to .229 (8-for-35) against right-handers…however, issued all six of his walks and yielded three of his four home runs to lefties…had a .594 OPS against righties, .875 against lefties…allowed a .158 batting average with runners on base…first batters faced were 3-for-13 (.231) and he allowed 1-of-3 (33.3%) inherited runners to score…tossed at least one inning in 12 of his 13 appearances, including a season-high 2.0 innings three times…was selected by Oakland Sept. 1 and made his debut that night against Los Angeles (AL) with a scoreless eighth inning…struck out the first batter he faced (C.J. Cron)…allowed a single to the next batter (Aybar) but then retired the next 18 batters he faced through Sept. 12…recorded his first save Sept. 18 at Houston when he tossed 2.0 scoreless innings in the A's 4-3 win…then allowed one home run and at least one run in four of his final five outings…including Sept. 30 when he allowed a run in 1.2 innings for his first ML win in the A's 8-7 victory at Los Angeles (AL). Pitched for three different teams in the A's farm system and combined for a 2-5 record, 19 saves and a 2.40 ERA in 45 relief appearances with Single-A Beloit, Single-A Stockton and Double-A Midland…the saves were a career-high and ranked second among all A's minor leaguers…had just two blown saves for a save percentage of 90.4…struck out a career-high 78 batters in 60.0 innings (11.70 per nine innings) and walked just nine (1.35 per nine innings) for a strikeout-to-walk ratio of 6.67…surrendered three home runs, an average of 0.45 per nine innings…had a .199 opponents batting average, including .177 by right-handed hitters…began the season at Beloit and went 1-1 with 12 saves and a 2.10 ERA in 20 appearances…was named to the Midwest League Midseason All-Star team…converted all 12 of his save opportunities…had a 13-game, 15.2-inning scoreless streak from April 22 to May 31… was promoted to Stockton June 20 and went 1-3 with six saves and a 1.59 ERA in 15 games with the Ports…struck out a season-high seven batters in 3.0 innings July 5 against Modesto…was moved up to Midland July 30 and was 0-1 with a save and a 4.63 ERA in 10 games in his Double-A debut…pitched for Mesa in the Arizona Fall League following the season and went 0-1 with two saves and a 4.91 ERA in 10 appearances. Began his career with the A's affiliate in the Arizona Rookie League and went 2-0 with a save and a 1.42 ERA in four relief appearances…was transferred to Short Season Single-A Vermont July 5 and compiled a 3-1 record, four saves and a 2.84 ERA in 17 games…combined to go 5-1 with five saves and a 2.56 ERA in 21 games overall…struck out 47 in 31.2 innings (13.36 per nine innings)…allowed a .224 opponents batting average, including .211 against right-handed hitters compared to .295 against left-handers…picked up the win his pro debut June 22 against the Brewers (1.0 ip, 3 so)…recorded his first save with 2.0 scoreless innings July 2 against the Padres. April 22, 2019 Oakland Athletics recalled RHP Ryan Dull from Las Vegas Aviators. March 27, 2019 Oakland Athletics optioned RHP Ryan Dull to Las Vegas Aviators. September 9, 2018 Oakland Athletics recalled RHP Ryan Dull from Nashville Sounds. August 30, 2018 Oakland Athletics optioned RHP Ryan Dull to Nashville Sounds. August 28, 2018 Oakland Athletics recalled Ryan Dull from Nashville Sounds. August 7, 2018 Oakland Athletics optioned RHP Ryan Dull to Nashville Sounds. July 30, 2018 Oakland Athletics recalled Ryan Dull from Nashville Sounds. July 14, 2018 Oakland Athletics optioned RHP Ryan Dull to Nashville Sounds. July 10, 2018 Oakland Athletics recalled Ryan Dull from Nashville Sounds. June 8, 2018 Oakland Athletics optioned RHP Ryan Dull to Nashville Sounds. May 19, 2018 Oakland Athletics recalled Ryan Dull from Nashville Sounds. May 18, 2018 Oakland Athletics optioned RHP Ryan Dull to Nashville Sounds. May 3, 2018 RHP Ryan Dull assigned to Nashville Sounds. April 14, 2018 Ryan Dull roster status changed by Oakland Athletics. April 5, 2018 Oakland Athletics sent RHP Ryan Dull on a rehab assignment to Nashville Sounds. March 28, 2018 Oakland Athletics placed RHP Ryan Dull on the 10-day disabled list retroactive to March 26, 2018. Strained right shoulder. July 27, 2017 Oakland Athletics activated RHP Ryan Dull from the 10-day disabled list. July 21, 2017 Oakland Athletics sent RHP Ryan Dull on a rehab assignment to Nashville Sounds. July 19, 2017 Oakland Athletics sent RHP Ryan Dull on a rehab assignment to AZL Athletics. May 20, 2017 Oakland Athletics placed RHP Ryan Dull on the 10-day disabled list. Strained right knee. September 1, 2015 Oakland Athletics selected the contract of RHP Ryan Dull from Nashville Sounds. July 28, 2015 RHP Ryan Dull assigned to Nashville Sounds from Midland RockHounds. March 9, 2015 RHP Ryan Dull assigned to Oakland Athletics. February 28, 2014 RHP Ryan Dull assigned to Oakland Athletics. July 30, 2013 RHP Ryan Dull assigned to Midland RockHounds from Stockton Ports. June 20, 2013 Ryan Dull assigned to Stockton Ports from Beloit Snappers. April 1, 2013 Ryan Dull assigned to Beloit Snappers from Vermont Lake Monsters. July 5, 2012 Ryan Dull assigned to Vermont Lake Monsters from AZL Athletics. June 20, 2012 Ryan Dull assigned to AZL Athletics. June 9, 2012 Oakland Athletics signed RHP Ryan Dull.